This is a community-wide event for individuals, families, and groups looking for something fun to do on Halloween. 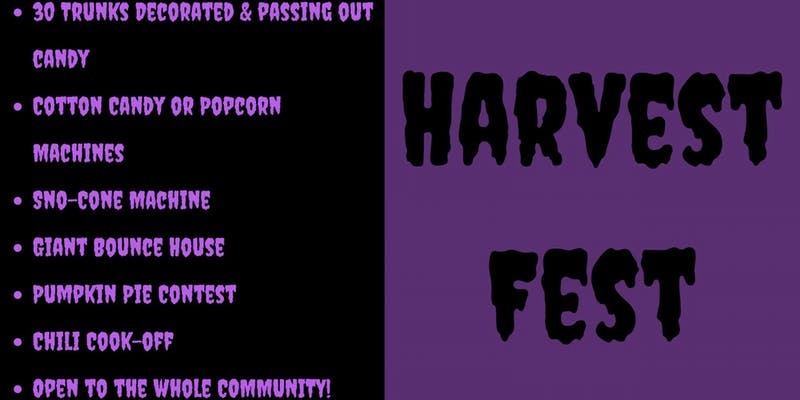 With decorated trunks handing out candy, cotton candy machine, popcorn machine, sno-cone machine, and bounce houses get ready for a great time! There will also be a pumpkin pie and chili cookoff! Join us for an exciting time of fun for the whole family!